When you’re not well and you need medical help, the first thing you need is friendly, professional care. The last thing you need is to have your anxiety levels added to by confusing or inefficient administrative and support services. Unfortunately it’s all too common that the superb care given by doctors, specialists and nurses is overshadowed by patient frustration with the simple things. Stress about health, tests and procedures, along with the effects of drugs can have on lucidity, means that patients often have a lot of questions and need easy and accessible help when it comes to information, instructions, appointments and follow-up. The key to alleviating worry over the administrative and logistical side of things is to communicate succinctly and often – in the way that people prefer. As we all know, SMS is used extensively for personal communications, and is rapidly becoming consumers’ first choice for interacting with businesses. Mobile and self-service solutions can play a big part in helping patients take control of their health by providing easy access to important information. Here’s three innovative ways that the Healthcare sector can significantly improve their patient experience and operations, through the use of mobile customer experience solutions. The stats confirm that SMS appointment reminders are valued by customers, and are effective in reducing no-shows. 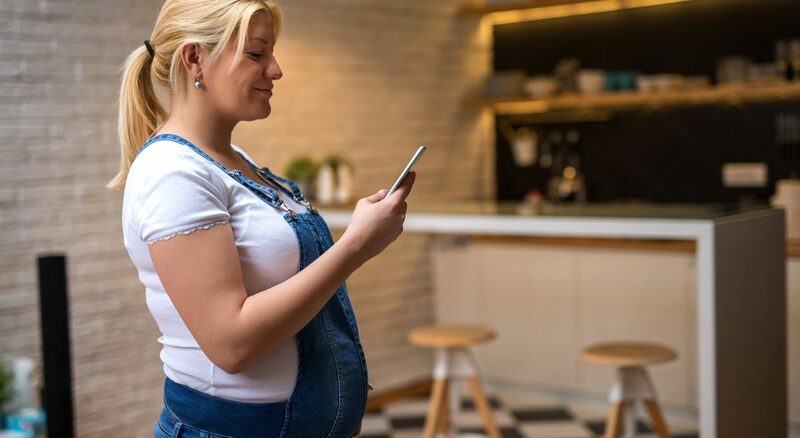 Studies have shown that 50% of patients are more likely to make or confirm an appointment after receiving an SMS reminder, rather than relying on an appointment card. Results from Salesforce and Harris Poll survey shows that 71% of Millennials want to be able to book appointments through mobile apps. 56% of seniors said they wanted to access healthcare resources from their smartphone. Healthcare contact centres can use the SMS functionality of Premier Contact Point to schedule automated appointment reminders, answer patient queries and provide links to required documents. The conversation is then saved in the patient record. 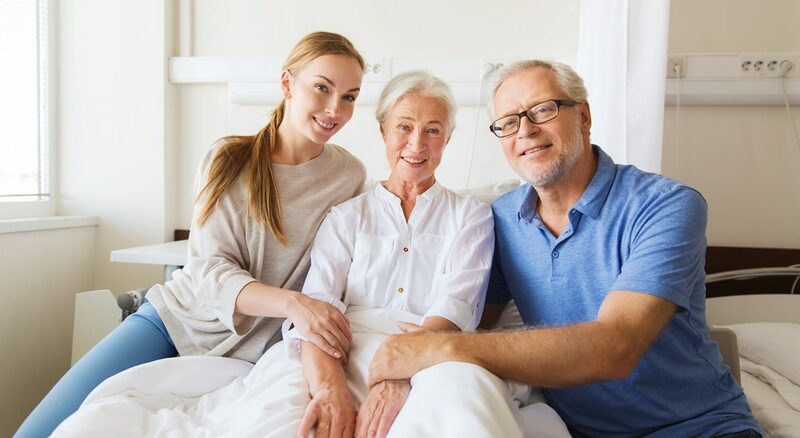 This system not only improves the whole process for everyone, but demonstrates to the patient that their healthcare provider is caring, progressive and efficient. It’s natural that some patients may feel anxiety over an upcoming test or procedure, and this anxiety can be exacerbated by worry over basic logistical questions. Progressive healthcare providers understand this, and have developed medical concierge programs, delivered by SMS (and often also by email), that removes the stresses associated with the administrative and logistics part of the process. Travel – Where to park, parking fees, local public transport, transport post test/procedure. Food and Drink – pre test/procedure fasting, post procedure meals and drinks provided? Family/friends – should they wait or return later, what are the visiting hours? Egress / Exit – which entrance to use, where should family/friends collect them? Medical records – should the patient bring xrays or a referral letter or prescriptions? Admission forms – what needs to be completed beforehand, can it be done online? Payments – what is expected to be paid up front, what payment methods are acceptable? 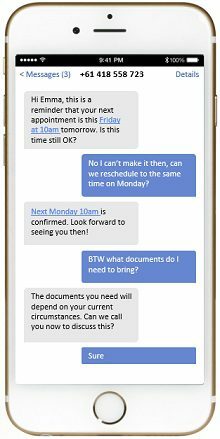 Automated messages through SMS enable providers to reach patients more effectively and provide them with pre-appointment, procedure, and preadmission information—especially when they are on the go. Bring authorised family and friends into the care program to reduce their worry, and help them care for the patient. Provide details of parking and public transport and visiting hours. Notify them when patients are moving to different rooms, or transferring from surgery to recovery. Provide access to admission materials/resources and post-discharge care information through a secure link via SMS and email, so they have it ready whenever they need it. Prepare family members and patients for the transition of care and follow up using web-based fact sheets. Let them know when the patient is ready for discharge and where to come. It’s no longer enough to provide skilled medical services. The patient experience has become an important factor for consumers deciding which healthcare provider they will use, when there is a choice. When you hear patients talking about their medical experience, it’s the total service that they remember and talk about. If they experienced frustration and stress through poor communications and logistics, this could overshadow an otherwise successful medical procedure. To stay competitive, and to encourage patients to access professional health care when they need it, providers must plan the whole “patient journey” and leverage technology to connect with their patients through the channels they use regularly. If you’d like to find out more about the Premier Contact Point Mobility Module, call us on 1300 85 84 83 or email us. We’ll give you an impressive behind-the-scenes peek and send the experience to your mobile phone, so you can see how easy it is to deliver an impressive mobile patient experience.